KPMG Law is continuing its expansion in Australia, adding four senior lawyers to the team and launching a new practice. The firm has appointed Zein El Hassan and Damien Bailey as partners, as well as Alex Lundie and Philip Jones-Hope as directors. KPMG Law, the legal advisory business of Big Four professional services giant KPMG Australia, has also launched a government-focused legal practice in Canberra, which Jones-Hope has been tasked to lead. El Hassan and Jones-Hope joined the firm before Christmas, while Bailey and Lundie will move to the firm in the coming months. El Hassan moved to KPMG Law from Norton Rose Fulbright, where he was a partner and leader of the firm’s financial services risk advisory team in Australia. He is also a former partner at Clayton Utz and Corrs Chambers Westgarth. El Hassan’s arrival grew the firm’s partnership in the country to 20. He is known for his expertise in on business transformation, risk and remediation, fintech and artificial intelligence, and superannuation. Bailey is an expert in IT and telecoms, as well as commercial and corporate transactions. He will move to the firm from Herbert Smith Freehills, where he is a partner. 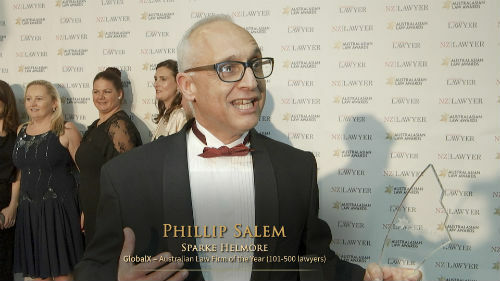 He was also previously a partner at Simmons & Simmons. Bailey has extensive experience in infrastructure rollouts, major technology transformation projects, joint ventures, systems integration, outsourcing and cloud arrangements, strategic projects and new technologies. He is well-connected and extensively experienced in the Asian and Middle Eastern markets. Lundie will move to KPMG Law from Clayton Utz, where he is special counsel. He has a focus on technology transactions, including complex outsourcing projects, technology procurement, digital projects and as-a-service arrangements. He brings a combination of supplier experience, having worked at Infosys in London, and strong government experience, having recently worked on Commonwealth and state technology projects. Jones-Hope is the former senior solicitor and principal adviser for the Australian Maritime Safety Authority. He has more than 25 years of private- and public-sector experience, working on government projects, commercial advisory, and legislative and regulatory reform. “Zein, Damien, Alex and Philip are all talented individuals with deep industry expertise and top-tier experience. They bolster KPMG’s integrated offering and enable us to provide the widest possible lens of insight and expertise to our clients,” said Stuart Fuller, who heads KPMG Law. “These appointments reflect our clear strategic focus on growth in the key, rapidly changing and inter-connected areas of financial services regulation and reform, data, digital and technology and government. Their combined experience positions KPMG as the go-to adviser for both depth of expertise as well as an innovative and end-to-end advisory approach in these critical areas of business for our clients," he said.